KFI had enough. It had been long, brutal months of manually identifying violators, individually contacting them, and following up with each one. Months of trying to get KFI’s MAP policy under control was more than enough to realize that there had to be a better way. As online retailers continued to pop up, KFI was playing a never-ending game of whack-a-mole. As soon as they took care of one MAP violator, another one would pop up. 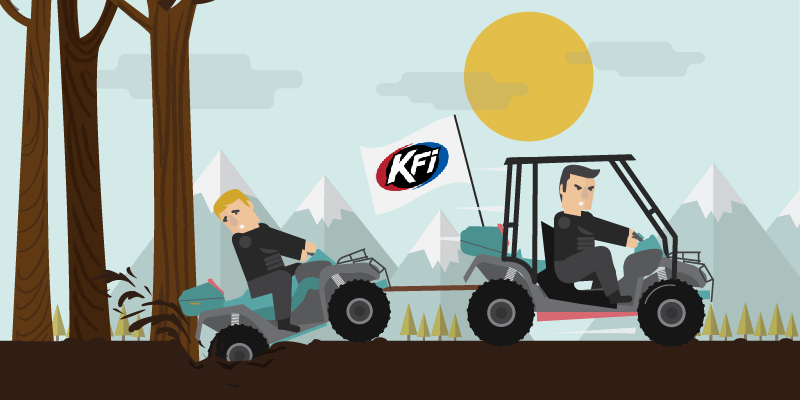 KFI’s success translated into more time that the brand would need to spend on monitoring MAP compliance, and it was a game that they were losing. As individuals, we can only do so much at one time, and keeping a MAP policy in check is not one of them. Manually monitoring wasn’t cutting it anymore for KFI products. If they wanted to keep maintaining profit margins and protecting their brand, making the switch to software was the only option. While bigger-name competitors have more bells and whistles, KFI didn’t buy into the mystique of complex features and integration with software that they didn’t even use. They were aware of the challenges faced and what they needed to get the job done. The team needed a system that was easy to use, universally accessible, and very efficient with information delivery. Enter: Trade Vitality. We all want to have our cake and eat it too, so what was the icing on the cake for KFI? It was Trade Vitality’s focus on customer service and our innate desire to help them win the fight against the entities eroding KFI’s brand image. Joe Hargett, Trade Vitality Client Happiness Lead, delivered the type of service that reaffirms his title. Joe was with the team every step of the way from day-one with a free trial, onboarding, dashboard training, and best practices along the way. With Trade Vitality, KFI was spared from the drudgery of hunting down sellers on the web and became accustomed to having all the information they needed to know about their products and sellers on one screen. Ease of use and efficient information delivery were one thing, but Trade Vitality's Automagic feature took things to the next level. Imagine never touching your email and still notifying each one of your sellers about each pricing violation. Yes, this is a reality and the time is now. We have the tools you need to stay ahead of your sellers and violators. Whack-a-mole no more! KFI are seeing drastic results with solution-driven technology on their side. In those months of manually monitoring and enforcing KFI’s MAP policy, it would take at least two weeks to find and contact all of their violators. In the Information Age, weeks are like years. The brand wasn’t doing themselves any favors by checking on pricing weeks after notifying a seller of a violation, but doing it all by hand left them no choice. With KFI Products deciding to take a proactive mindset with protecting their brand, the same process now takes 1 to 2 days with Trade Vitality. The team has more time back in their day to help grow the business at KFI.